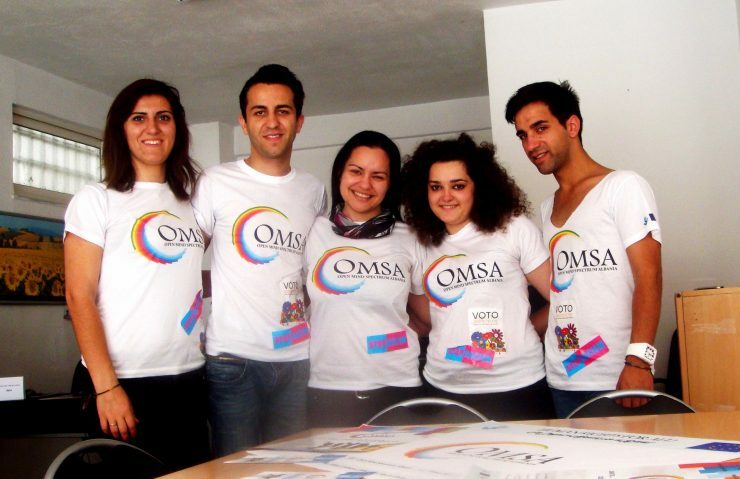 Open Mind Spectrum Albania (OMSA) aspires an Albanian society where every individual enjoys full rights and freedoms. One of their main target groups is the LGBTQI community, with a big focus on their parents, families and friends. The Albanian LGBT community faces discrimination and exclusion from society. High school and university students are often thrown out of their house by their own family after coming out. They end up on the street without shelter and protection. Because of this many people stay in the closet. Training of LGBT Families, is a project that does what it says. It trains families, especially mothers, on the subject of homosexuality and coming out. This is done by specialists like psychologists and doctors. Family members who have excluded their children are invited to take part in the training. Before the training leaflets and brochures will be presented to these family members to convince them to take part. Goal is to raise awareness of the LGBT community and the problems it faces. It aims for acceptance from the family members taking part and hopes that this will also change the views of all Albanians in the long run.